There is a familiar cadence to the bursts of Twitter mobbing that have become the defining spasms of cyber-politics these days. Someone in a position of privilege says something mildly foolish, they are called out on it, and then the privileged individual’s response rises to the level of something genuinely concerning and worth talking about. It is as if some activists excel at chipping away at the wafer-thin façade of public personas to reveal the monsters beneath. While I sometimes find the methods dubious, the unmasking is often as not a public service. We should be made aware of the latent prejudices or hidden failings of many in our commentariat and we’re the better for it. So what did we learn from the now hilariously infamous Honeygate, the latest Richard Dawkins micro-scandal to rock social media and set virtual tongues awag? Someone close to me described the reaction to the initial Dawkins honey tweet as “tilting at windmills,” and I admit I’m actually inclined to agree with them. It is hardly the worst thing Richard Dawkins has ever said, and had the words been uttered by anyone else they would hardly have occasioned such an outcry. Had my father said it, I might have even agreed with him (while of course privately snickering about honey-based whinging). But what made Dawkins’ tweet so irritating to those of us who’ve had to field his barrage of pop-sociological ignorance for so long has been drawn into stark relief by his response to the, in his words, “puerile display of sniggering frivolity” that occurred on social media. As ever, the response of a man like Dawkins to public criticism is considerably more revealing than the initial “offence” that occasioned the criticism. And it is, at last, here that the hypocrisies of Dawkins’ belief system become gobsmackingly offensive. It is not because anything he says in the article is strictly wrong, it’s that it reveals Richard Dawkins to be a man whose “public concern” is limited to the petty, stopping well short of things that actually matter. His myopia blinkers him to the myriad ways in which he takes a sledgehammer to civil society and the dignity of its citizens. The example with which he opens the article—his ill fated attempt to get a financial institution to make a minor convenience change to its website—seems representative of those things that animate Richard Dawkins-as-citizen. For him, public service means gently easing the lives of the comfortable in small ways. Occasionally, this will rise to the level of more noteworthy, practical significance, such as his lament for the family whose child was forced by airport security to go without necessary eczema cream. Strictly speaking, these are fine things to be concerned about; I too would like certain frequently-used websites to be updated with certain convenient modifications, and I too applaud those who send kind and informative feedback to institutions to make that happen. She thought I wanted satisfaction for myself in particular. It appeared to be outside her comprehension that somebody might take the time to make a public-spirited suggestion to help other people. I might have been speaking Volapük. She simply didn’t understand a word of Voluntary-Public-Spirit. I suspect that the problem here has less to do with her and more with the narrow suite of options for helping customers that she was given by her company. It isn’t that she cannot comprehend the idea of helping others or that she is an insensible spectre to the light of public spirit, it’s simply that her company likely does not allow her to accept that kind of feedback and perhaps she was not used to hearing it via that particular channel. Dawkins isn’t wrong to wonder at why things are structured this way—but if he were to truly get to the bottom of it he might be forced to confront the idea that the entire private sector is built on an individualist myth that rewards self-interest and selfishness, an ideology mirrored in its vision of customer service, and epitomised by the classic slogans “the customer is always right” and “the consumer is king.” I suspect that confronting those challenging notions would be a lot less comfortable for Professor Dawkins than upbraiding a poor customer service rep in the pages of The Guardian for being resistant to his civic-mindedness. This is, in many ways, Dawkins’ biggest problem: he addresses social problems in painfully narrow fashion and is utterly blind to social structure. He would rather blame faulty individuals (or even a mass of them) than think about truly social questions—and yes, society is more than merely a collection of individual foibles. To put an even finer point on it, it is why Dawkins is able to write an article like this without a scintilla of irony or self-awareness, after many years of ranting at the barricades of public discourse in an especially racist, sexist register, and doing far more violence to our polity than a thousand confiscated honey jars or scores of broken bank websites. By being deliberately inflammatory and disingenuous about ethnic minorities in Britain—such as blatantly race baiting through his odious tweet mocking Muslims for not having more Nobel prizes to their name—he is rusting the radiant copper statues of civic virtue and corroding our discourse. He cheapens debate by fully adopting Twitter’s pithy idiom in his pop-sociologising about religion and its adherents, breathelessly pearl-clutching at “puerile” social media one moment, and dismissing a population of billions as idiots the next. 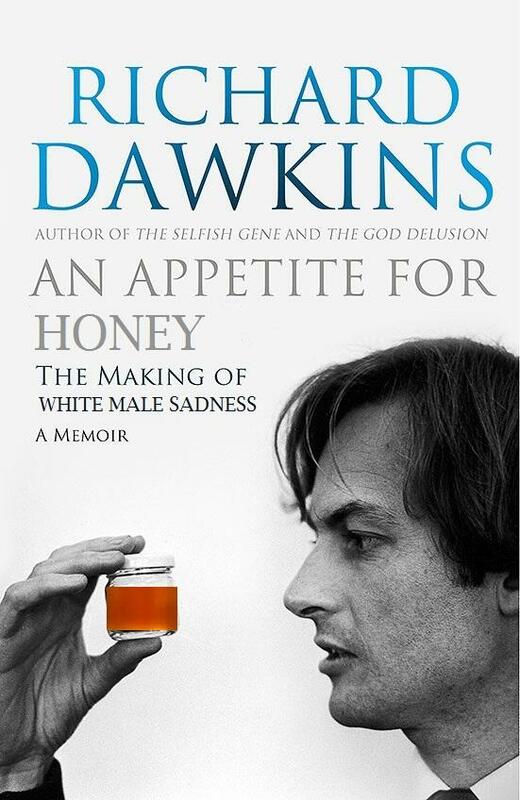 Throughout this tempest in a honeypot Dawkins asseverated that the material loss of his honey was not at issue, it was the principle of the matter; security theatre and its pointless quotidian humiliations, he seemed to say, was what he was really complaining about. In this way “Bin Laden won,” by ensuring the death of civic trust and freedom through the thousand cuts of doffed shoes, belts, and zipped plastic bags of not more than a quart in capacity. Principle is beautiful. It is the marble colonnade of democracy, the elegant flourish of calligraphy on parchment that spells out our rights and duties as citizens. But principle must animate something, some substance, some material reality in order to be worth the parchment upon which it was so lovingly written. Dawkins must complain about principle here because indeed that is all that is at stake for him. For a woman thought to be Muslim, by contrast, who must endure sexual humiliation every time she passes through an airport checkpoint, the distinction dissolves painfully into the irrelevance of immediate bodily harm. It is indistinct for her precisely because the principle is the harm that was caused to her, it is the loss of her dignity, it is the human right absconded with by that selfsame security theatre. And her condition is one that is constructed and buttressed by the words of men like Dawkins who conveniently forget their pretensions to civic-mindedness when opining in grand forums about the supposed backwardness and inherent threat posed by people who are perceived to be of the Muslim faith. When Dawkins appropriates that Muslim woman’s putative life experience and perverts it into a simulacrum that enables him to tut-tut activist and thinker Rebecca Watson who complained, rather politely, that it was unwise and unkind for male strangers to proposition women in a hotel lift at 3AM, he forgot the language of “Voluntary Public Spirit.” Indeed, one wonders if Watson was speaking Volapük. By mocking women, including atheist and sceptic women who are part of Dawkins’ own political stratum, simply because they try to convey the unique social realities of an experience Mr. Dawkins himself does not, and cannot share, he lets loose a rather generous, malodorous pile of leavings upon the very idea of civic spirit. A glitchy bank website isn’t worth an atom of a fig when compared to the fact that we, Dawkins’ female fellow citizens, have a profoundly different relationship to the world of night, to dark alleys, lonely streets, and 3AM lifts. Yet which does he ennoble with the flowering garlands of “public spiritedness”? That says something in and of itself. Where was he, one wonders, when his fellow “Horseman” Sam Harris called for Muslims to be “racially profiled”? If ever there was an hour for our civic minded superman to duck into a phone box and emerge to reveal his colourful, democratic tunic, it was surely then. Or perhaps he could have found that beautiful language of civic virtue when that same woman he attacked reminded us of why those very institutions Dawkins takes for granted fail her, and why her free speech remains a right she has to fight for on a daily basis, often athwart hordes of Dawkins’ own fans emboldened by the imprimatur he lent to their hatred by dismissing Watson so sneeringly. He might wonder at the civic mindedness of the men who send her things that are far worse than “puerile sniggering” as well. Yet it is, in the final analysis, the fact that honey is ineluctably a liquid that sees Dawkins gesturing to those great marble columns and that calligraphy on parchment, and that is worth getting one’s back up. We all have a lot to learn about citizenship and building a more perfect union of sovereignly equal peoples and individuals; we will not learn it from a man who uses mighty rhetoric to cover up his perennial failure to accept any responsibility for the things he says. There is, Mr. Dawkins, such a thing as duty—and I would much rather you used it to combat institutional prejudice that makes me fear for my life and bodily integrity than to help make my bank website run a little more smoothly. Dawkins taught me most of what I know about the wonders of evolution. But he’s disappointed me with his pronouncements in the social sphere. You’ve captured perfectly the reasons for my disappointment. Thank you. Hear, hear! Very well articulated, indeed. A lot to reply to here. I’ll start with a recommendation, if I may. You’ve got a lot of good points here, but they’re slightly ruined by the fact that is largely an attempt at character assassination. It’s perfectly possible to point out the flaws in people’s views and words without them leaping to attribute poor motives and attack them as a person. I agree that Dawkins is largely the product of very particular and traditional part of academia. And that does shape his views. But I would take issue with your general portrayal of him as a bad guy (an inference you can make about anyone you disagree with to make things easier for yourself). I think he’s quite a nice guy, he just belongs to a very particular type of culture that doesn’t export very well to mainstream society and comes across as quite negative. Which he should frankly be smart enough to correct. So for example, the tweet about muslims not winning any nobel prizes. You characterize it as mocking. I don’t think he’s mocking Islam at all. He’s pointing out a huge problem (the facts he’s quoting are 100% correct). And progressive muslims acknowledge this (majeed nawaz and irshad manji come to mind). The lack of science in the muslim world guarantees that it remains a terrible place to live and affects all parts of the culture (e.g the prevalence of authoritarianism, which is almost identical to medieval christianity). If you actually want to improve any of that, you have to start with an acceptance of the facts. Clinging to your need for a superficial appearance of “equality” in this situation is just going to perpetuate inequality.